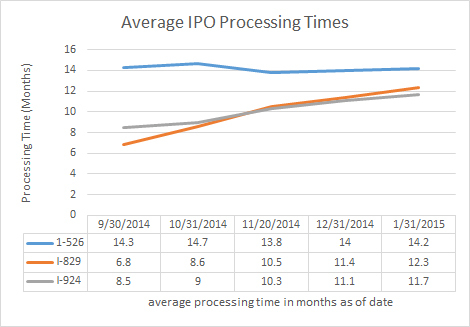 The monthly processing update for the USCIS Investor Program Office shows slight increases to processing times for all EB-5 petitions. USCIS has posted a summary, transcript of the Director’s statement, and slides from the December 5, 2015 EB-5 stakeholder engagement. There’s no Q&A or other content that wasn’t presented at the meeting. To review the meeting in more detail, consult Robert Divine and Melanie Walker’s summary.